This badge was issued to Sacha Czudek on 14 Jul 2017. 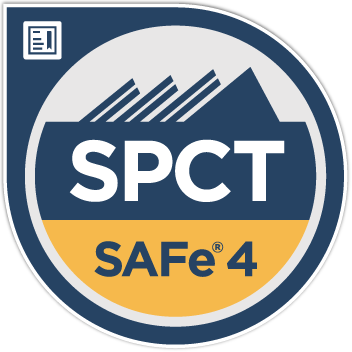 The Certified SAFe® 4 Program Consultant Trainer (SPCT) is the highest level of certification provided by Scaled Agile, Inc. The SPCT credential recognizes individuals who demonstrate superior knowledge, competency, and in-depth field experience in adopting Agile across an enterprise with the Scaled Agile Framework®. SPCTs are the leading change agents and leaders in an organization’s Lean-Agile transformation and implementation.